This week, I’ve thoroughly enjoyed perusing the summer home tours of 30 different home, decorating, and DIY bloggers organized by Marty of A Stroll Thru Life. All of the homes were lovely, and it’s fun to see the different styles and color palettes that each person uses in their home. I enjoyed all of them, but naturally, there were a few that stood out as favorites for me. 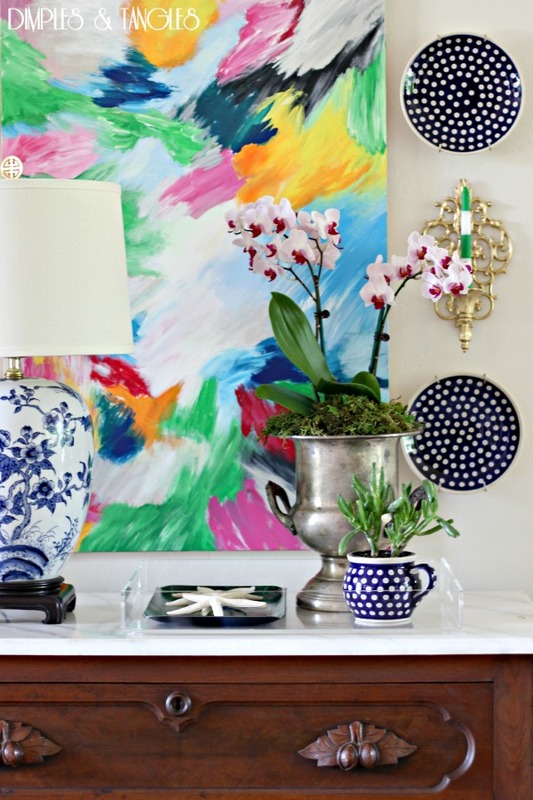 Here are my favorite six images from all 30 home tours. This artwork! I want it. Actually, I want it in wallpaper on an entire wall. This beautiful entryway. 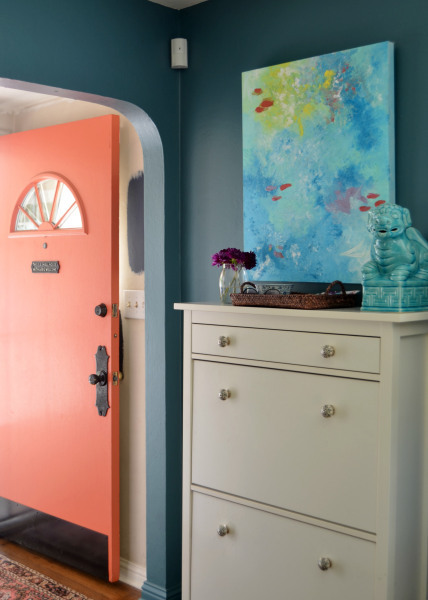 It’s perfect with the coral door, blue walls, and colorful artwork. This blue kitchen made me wonder, “What if…?” If I hadn’t chosen green for my kitchen, my next choice would have been blue. 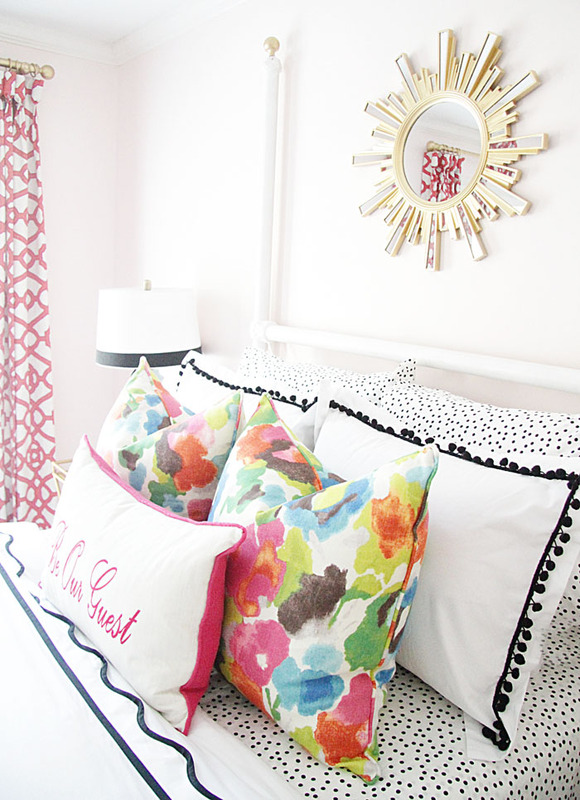 The colorful floral fabric on these pillows stopped me in my tracks. I love it, and I think it would look gorgeous on some dining room chairs! And once again, it’s the artwork. I seem to have a weakness for really colorful abstract paintings. 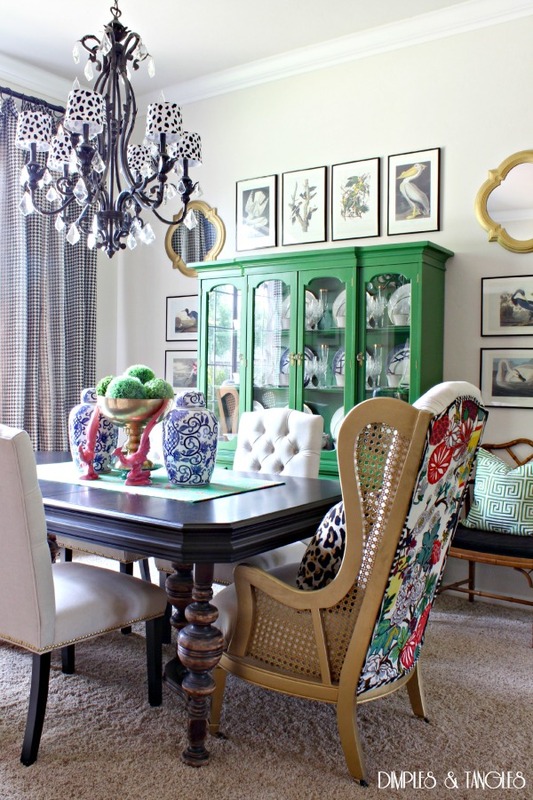 And I couldn’t resist this dining room that combines one of my favorite fabrics with a green painted china cabinet. If you want to see the 30 bloggers’ summer home tours, you can click any of the above images/links, scroll down to the bottom of the post, and you’ll see a list of the participating bloggers with links to their home tours. Oh I totally agree with you, there were some absolutely amazing rooms on the tour. I really like your choices too and those painting were all done by the gals as diy projects. Is that talent or what. You are so talented, I am sure you could do one. Thanks tons for the shoutout, I can’t wait for the next set of tours, these were so full of inspiration. I used to follow Marty’s blog – lots of clocks – but everything in her house is so brown – not my taste – Kristi you are my number one blogger and then Confessions of a Plate Addict !!!! 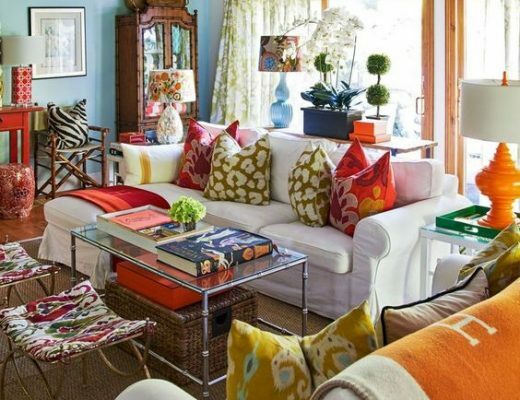 She has lots of color in her home – like you, I love color!! ……………….. As far as the beautiful painting colors for your walls, why not “paper” the wall with fabric in your favorite design. 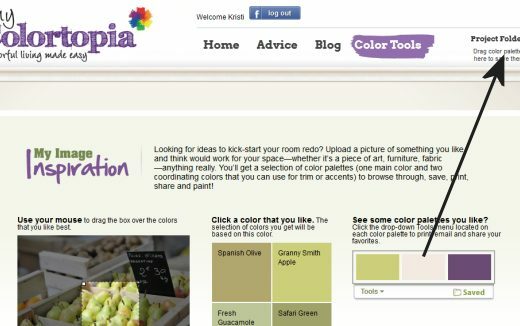 Or make a template and paint your walls in the colors yourself. With your expert talents, I know you will do an expert job!! Happy to see Marty is adding pops of color to her home. Really like it!!! I especially love the pillows where there is a hint of what you are seeing and white between the colors but that is just m,y taste since I am more traditional. You are much braver than I am about stepping out there in decorating. I can certainly see why these would catch your particular attention. They are all lovely. The green china cabinet stood out to me as it would be the perfect compliment in your dining room bringing in the green of your beautiful kitchen cabinets, or perhaps painting your entry table the green then using fabrics with your blues, greens and whites with the emphasis on the greens in your abstract tastes for your dining room. Whatever you do will be great, I’m sure. 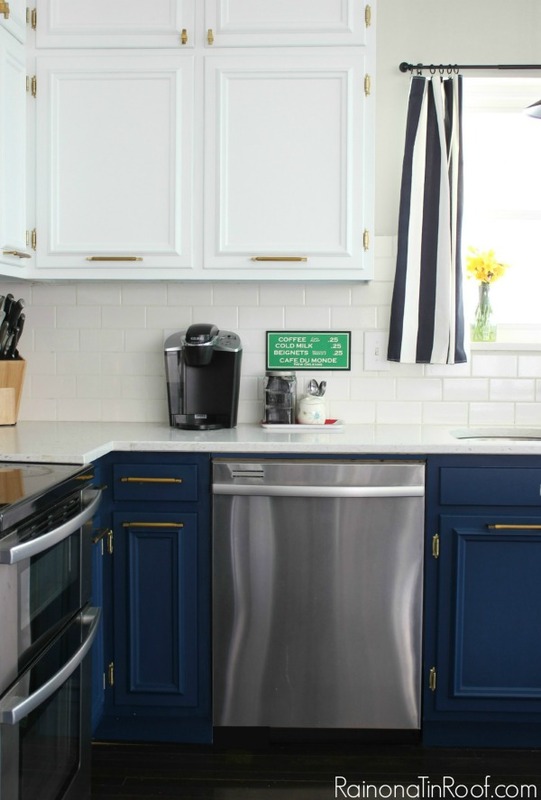 I loved the color in all 6 photos but the navy and white kitchen was very striking! Loved it. Will have to take some time this weekend and go on this fun blog hop for more inspiration. Thanks for the heads up! Oh, Kristi, that green china cabinet is so YOU! It would tie in to the green kitchen cabinets perfectly. 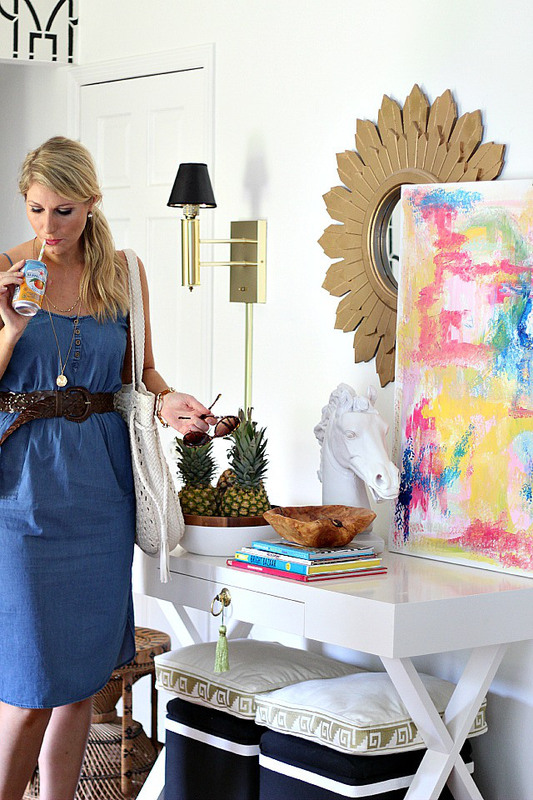 That whole dining room scheme just shouts KRISTI!….Great inspiration here! I am loving that dining room! That coral door is beautiful!